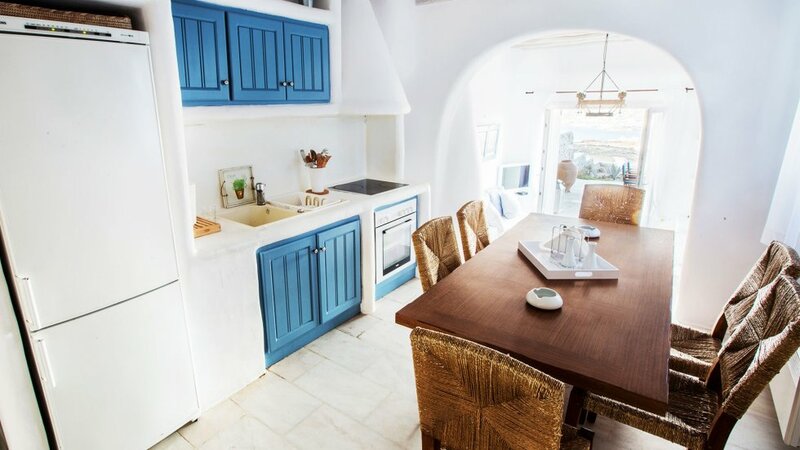 A place made exclusively for your family or your friends. Ideally located on the beach of Ornos, the three leveled Mykonos Maison Villa is your ideal villa in Mykonos. Built on an area of 16.000 square meters, Mykonos Maison Villa in the beautiful Ornos area combines the simple and traditional architectural lines with the stylish furnishing and all the modern amenities for a comfortable accommodation in Mykonos! 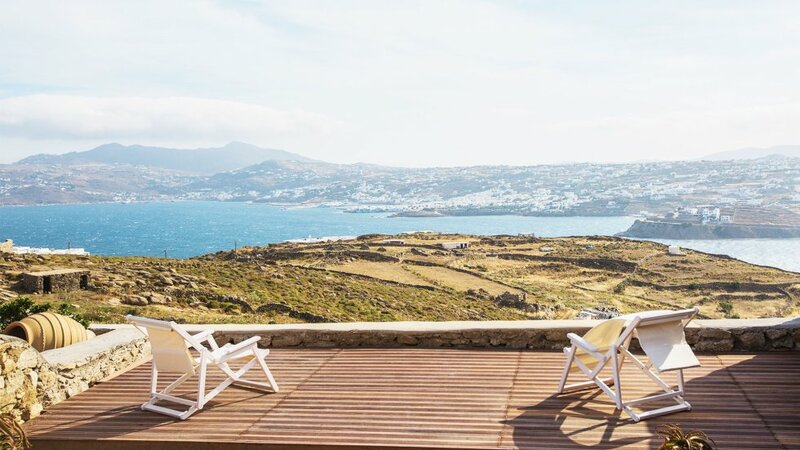 No matter which spot of the villa you are standing, relaxing or sitting on, you can enjoy the views to the Mykonos Town, the port and the sea!The tones of white and grey color are creating a soothing atmosphere whereas at the large swimming pool you will spent hours of true relaxation as you are gazing the deep blue Aegean Sea! 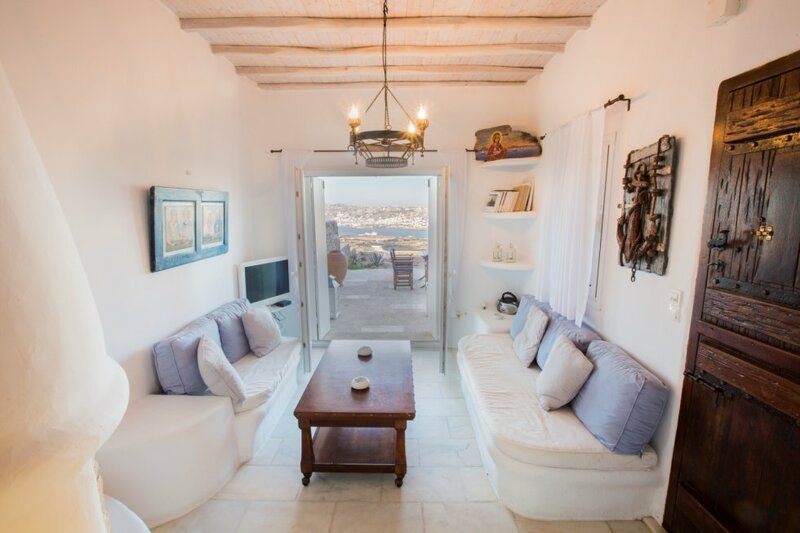 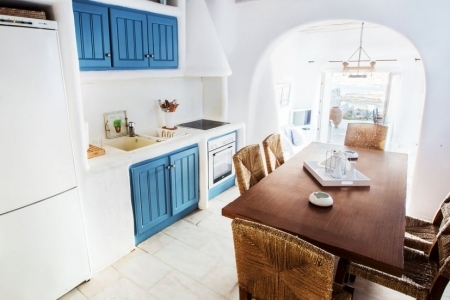 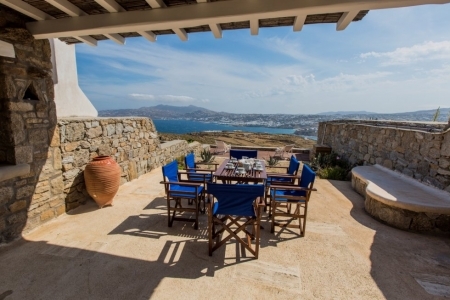 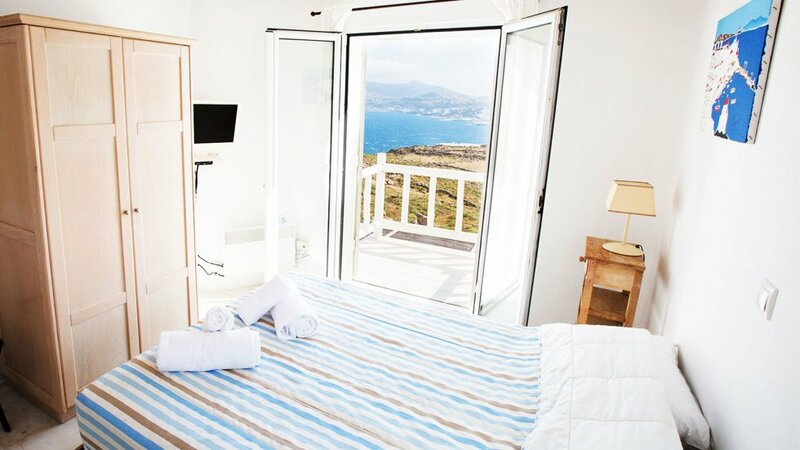 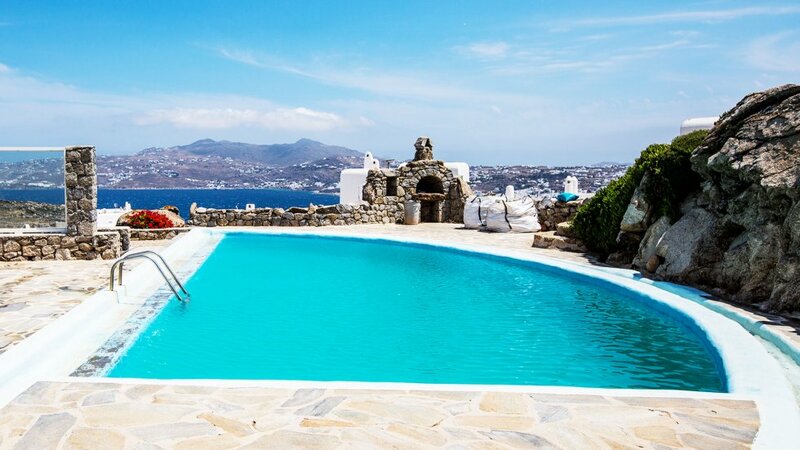 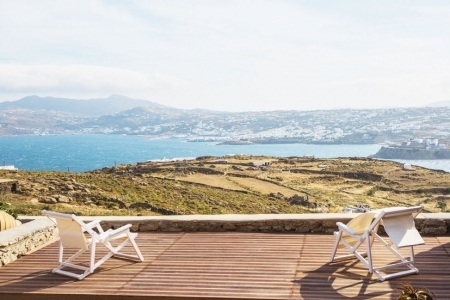 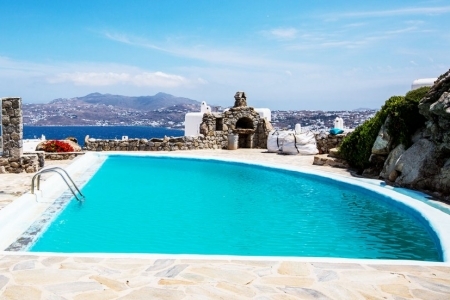 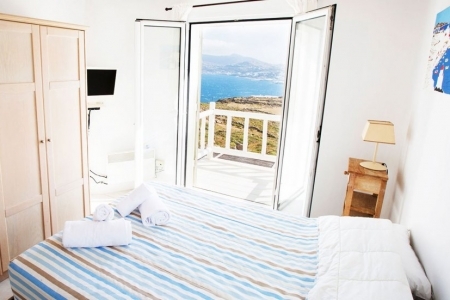 The 2 bedrooms Mykonos Maison Villa in Mykonos is the ideal choice for memorable holidays in Mykonos where the best sea views and the exquisite facilities are made to offer the real meaning of Mykonos hospitality and way of living!